The fifth year of migration had not yet come to an end when the attack by the tribes was repelled and the revolt of Bani Qurayzah was also suppressed. Madina and its environs came entirely under the control of the Muslims. The foundations of the young State of Islam became firm and relative tranquillity began to prevail in the Islamic territories. This tranquillity was, however, temporary. It was necessary that the Prophet should keep watch over the affairs of the enemies and should nip all conspiracies against Islam in the bud with the help of the forces available. The tranquillity in the surroundings provided an opportunity to punish some of those persons who had sparked off the Battle of Ahzab and had gone out of the control of the Muslims after the tribes had decamped. Hay bin Akhtab, who was one of those, who made the first move towards the battle of Bani Qurayzah, but his comrade Sallam bin Abil Haqiq was residing in Khayber. It was an established fact that this dangerous man would not sit still until he had instigated the tribes once again to rise against the Muslims, especially because the Arab idolaters were ready to wage a war against Islam and if the expenses of war were guaranteed the conditions of the Battle of Ahzab could be renewed. Taking these matters into account the Prophet appointed the brave men of Khazraj to get rid of this impudent and spiteful element. This was, however, subject to the condition that they should not molest his family. The warriors of Khazraj arrived in Khayber at night and fastened from outside the gates of the houses adjoining that of Sallam, so that if there was any noise his neighbours might not be able to come out of their houses. Then by means of a stair-case they reached the first floor of the house where Sallam was residing. They knocked at the door. His wife came out and enquired as to who they were. They replied: “We are Arabs and have some business with the chief. We need grains”. She was deceived by this introduction, opened the door without verification, and guided them to the room of Sallam, who had just then gone to bed. In order to prevent every sort of hue and cry they entered the room immediately, shut the door, and put an end to the life of a dangerous and mischievous element, which had deprived the Muslims of their peace of mind for quite a long time. Then they came downstairs at once and hid themselves in the place of entrance of water outside the fort. A band of far-sighted Quraysh, who were very much frightened on account of the ever-increasing advancement of Islam, proceeded to Ethiopia to settle there. They thought that, if Muhammad eventually gained mastery over the Peninsula, they should be already safe in Ethiopia and, if Quraysh were victorious, they would return to their homes. “I am going to seek an audience with the King of Ethiopia along with my particular presents and shall seek his permission to behead the representative of Muhammad”. “The man who had just now taken leave of your Majesty is the representative of a man who has killed our elders and warriors. It will be a matter of great satisfaction for us if I am permitted to cut off his head as a measure of revenge”. “Are you asking me to surrender to you the representative of a man, on whom the Archangel Jibreel descends, as it used to descend on Prophet Musa, so that you may kill him? By Allah! He is true and shall be victorious over his enemies”. The bitter and unpleasant event of Raji’, as a consequence of which the families of ‘Azal and Qarah, who belonged to the tribe of Bani Lihyan, had killed the members of the missionary party of Islam in a cruel and cowardly manner and even arrested two persons alive and sold them to the authorities of Quraysh, who hanged them as a measure of revenge, had deeply grieved the Muslims and brought the journeys of missionary groups to a stand-still. 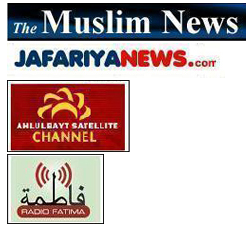 Now that all the obstacles had been removed from the path of the Muslims and the disturbances caused by the tribes and the Jews had also been suppressed, the Prophet of Islam considered it expedient to chastise Bani Lihyan so that other tribes might become aware of their duties and might not molest the missionary groups of Islam. In the fifth month of the sixth year of migration the Prophet left Madina appointing Ibn Umme Maktum as his representative. He did not inform anyone of his intentions as he feared that Quraysh and Bani Lihyan might become aware of his plan. He, therefore, adopted the northern route which went up to Syria, and after covering some distance changed his path and encamped in Gharan which was the territory of Bani Lihyan. However, the enemies had become aware of his intention and had taken refuge in the hills. This armed attack and the humiliation of the enemies had its psychological effect and they were extremely frightened and overawed. In order to achieve his end the Prophet undertook a military manoeuvre and personally marched, with two hundred men, from Gharan to Asfan, which is situated near Makkah. Then he sent ten persons to the border of Makkah (Kira’ul Ghamim) in the capacity of an exploratory unit in such a manner that the movements of the soldiers of Islam and their display of strength could be known to Quraysh. Thereafter he gave them orders to decamp and all proceeded to Madina. Only a few days after the Prophet returned to Madina ‘Uyainah bin Hisn Fazari plundered a herd of camels, which was grazing in the pastures of Madina, killed their herdsmen and made a Muslim woman captive and took her away with him. Salamah Aslami, who had come out of Madina for hunting, saw this occurrence. He at once came to the mound of Sala’ and called the Muslims for help and said: “Wa Sabaha” (Arabs used to utter this sentence when they needed help). Then he pursued the plunderers and, by shooting arrows, prevented them from fleeing. “When I was being taken away as captive along with this camel (she pointed to a camel which belonged to the Prophet) I vowed that if I got rid of the enemy I would slaughter this camel”. 424. Seerah-i Ibn Hisham, vol. II, pp. 274 – 275. 425. Seerah-i Ibn Hisham, vol. II, pp. 276 – 277. 426. Tarikh-i Tabari, vol. II, page 254 and Mughazi, vol. II, page 535. 427. Tarikh-i Tabari, vol. II, page 255; Mughazi-i Waqidi, vol. II. pp. 537 – 549. 428. Seerah-i Ibn Hisham, vol. II, page 280; Tabaqat-i Kubra, vol. III, p. 133.